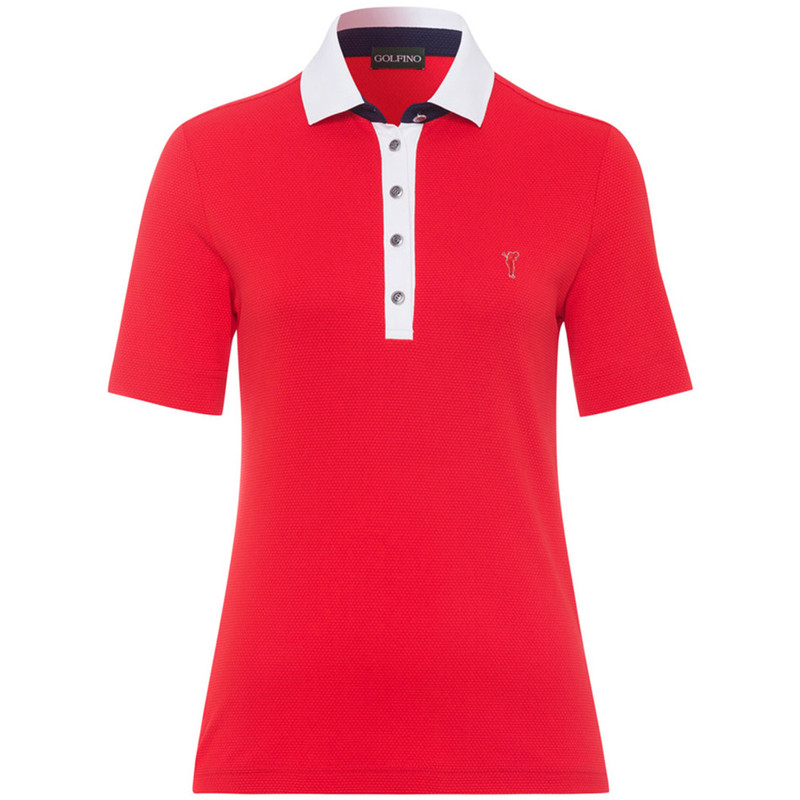 Designed with short sleeves and a jersey jacquard material, this polo is sure to be a hit on the golf course. 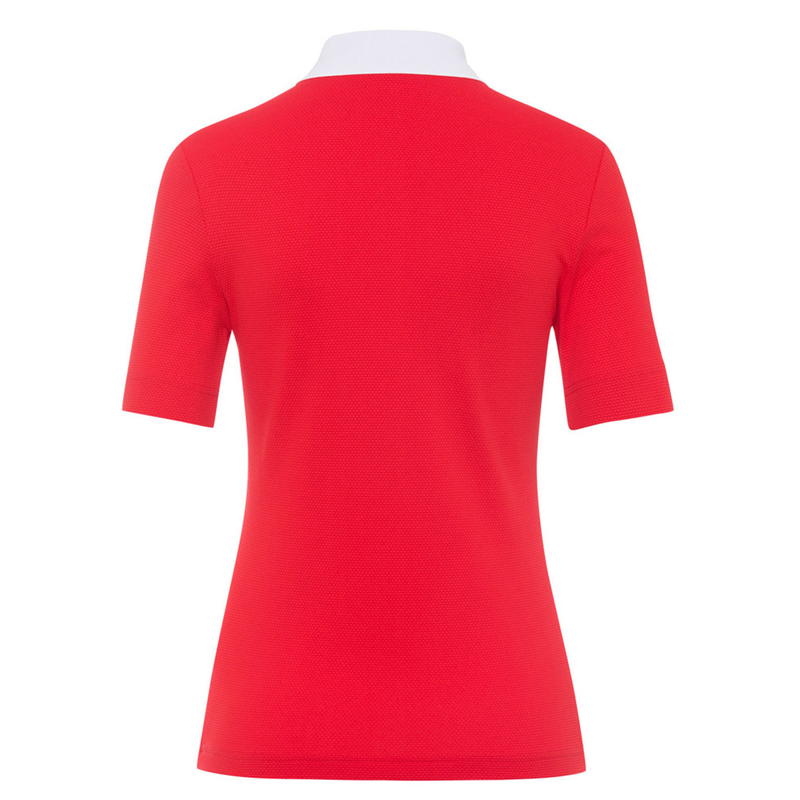 Constructed with a premium quality stretch, to ensure greater mobility and comfort during any athletic movements associated with the golf swing. 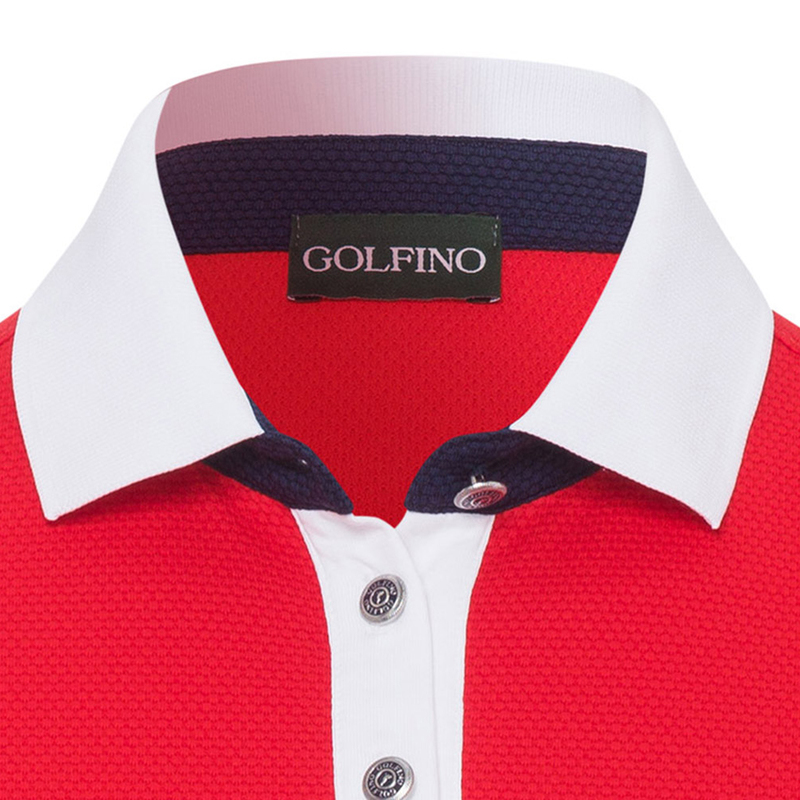 This beautiful garment is highlighted with contrast coloured placket and inside collar, plus has silver buttons and GOLFINO brand golfer embroidery on the left chest.